I don't have any outfit shots today, due to the cold I mentioned earlier. However I had my first experiment with nail art a week ago. I really need a smaller brush, as my lettering came out much too large, but overall I thought it was not bad for a first attempt. I'm allergic to a lot of chemicals, but I've finally found a nail polish I can use. Piggy Paint makes a really great water-based nail polish. That means they have no toxic chemical smell, are safe to use, plus look really cute. 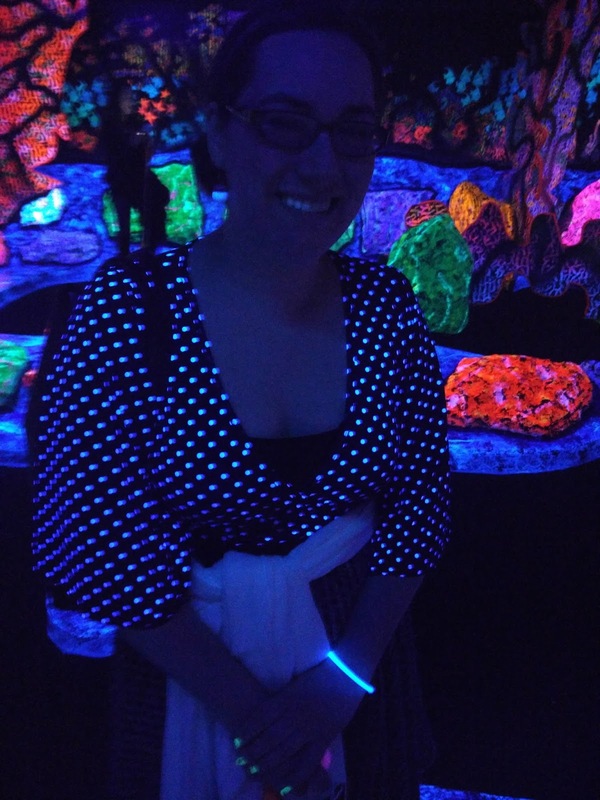 And yes, one glows in the dark. 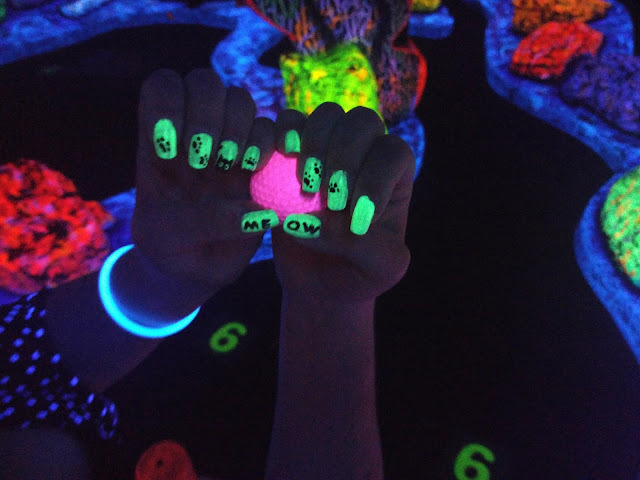 It's best under blacklight, which was perfect as I went glow-in-the-dark mini putting with a friend last week. Awww, those have to be some of the cutest nail polishes ever. :) That's great about your webcam, dear gal. Thanks for the update on it. Fingers crossed it behaves for you for ages now. This is SO cute! I'm trying so hard to grow my nails out so I can play with nail art and pretty polish. They never seem to get past the tips of my fingers but I've been good and wear gloves while washing dishes and that makes a huge difference!